Information concerning the Undergraduate school is available here, that is written in Japanese only. Thank you for your interest in the Graduate School of Kobe Pharmaceutical University. Our Graduate School is devoted to varied basic or applied researches of pharmaceutical sciences and to clinical pharmacy based on pure chemistry, thus providing the students with highly specialized knowledge and techniques much needed for responsible professional positions. At present the Graduate School accepts about 40 students every year. The Graduate School makes positions of postdoctoral associates available to promising scholars from various parts of the world in order to provide them with opportunities to pursue cooperative researches with the faculty members who are carving the frontiers of various fields of pharmaceutical sciences. The School invites internationally well-known scientists as visiting scholars and visiting professors. Postdoctoral fellows sponsored by Japan Society for the Promotion of Science (JSPS) are also conducting researches energetically in conjunction with the faculty members. Close interdisciplinary collaboration in studies with the faculty members, visiting scholars, postdoctoral fellows and the students can be recognized as one of the vital and stimulating aspects of the Graduate School. Since its establishment in 1967, the Graduate School has conferred more than 230 Master's degrees and 30 Doctor's degrees. Most of these degree-holding scientists not only have occupied high-level research positions both in public and private laboratories, but also have been carrying out higher academic studies at universities, colleges, and other institutions. 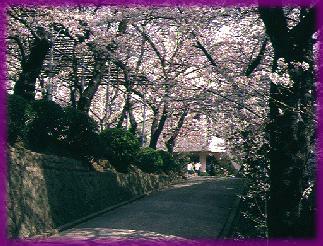 Last modified:Apr.19,2005 ; Copyright 1998, Kobe Pharmaceutical Univ.